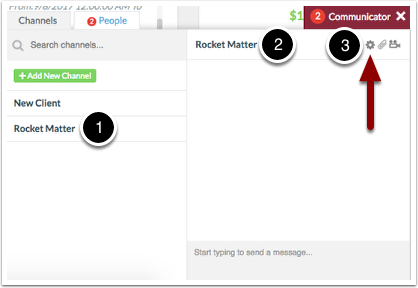 Rocket Matter Knowledge Base CommunicatorHow to add or remove a user as an admin of a channel. 2. Click on 'Channels' and watch the channel name appear in the chat box. Click on the 'gear' to begin modifying the settings. 3. 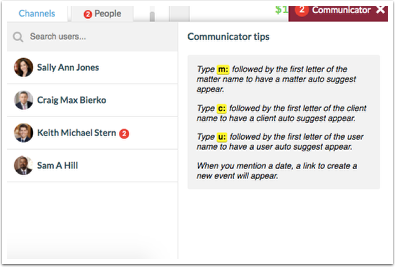 To add a user as an administrator of the channel, check the blue key. 4. To remove a user as an administrator of the channel, uncheck the blue key. 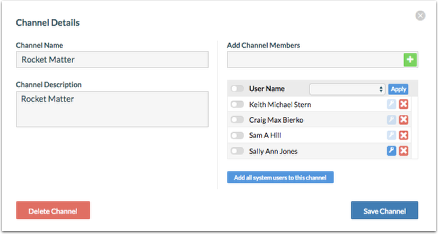 Prev: How to create a private channel. Next: How to video conference a user.